Looking for a one-stop shop to answer any and all questions you have about nootropics? You may be curious and want to learn all about the best nootropics and what they can do for you. You may already be sold on the idea of cognitive enhancement, and are searching for a list of top-rated nootropics. You may even be trying to figure out where you can find these top nootropics for sale. Luckily, you’ve come to the right place! Here at Comparakeet, we offer more than just a list of nootropic supplier reviews. We’ve compiled information on what nootropics are, what nootropics are used for, where to buy nootropics, and more. What are nootropic stacks? Where do you find communities that can help you with more nootropics questions? Read on and be informed. Where Are the Best Places to Buy Nootropics? The best place to buy nootropics is online. Yes, online! But where? And why? We’re getting ahead of ourselves here, but if you’re in a hurry and done with your nootropic research, check out our list of online nootropics supplier reviews above this section. We’ve reviewed some popular internet-based vendors for you to choose from. Before you settle on the online route, though, you may want to explore some brick-and-mortar options. Selecting a good nootropics supplier is about as important as choosing the correct nootropics for your particular needs. Knowing where to buy nootropics isn’t enough. You need to trust your nootropics source. These are supplements and drugs that you ingest. Top on the priority list should be high quality ingredients, safe manufacturing practices, and clear labeling and dosage information. Let’s take a look at some common sources where you can find nootropics for sale. We’ll pick apart their advantages, disadvantages, commonalities and unique points. Going the online route is often the fastest and easiest way to purchase nootropics these days. In many cases, you’ll get a wider variety of product choices, too. Again, you can take a look at our reviews of the best online nootropics suppliers in the section above. We work hard to make sure that they are both informative and useful! Read them for a more detailed take on buying nootropics online. Product quality and variety. Some nootropics can be classified as dietary supplements, while others are treated as pharmaceutical drugs. A good online store should offer nootropics in both categories that are vetted with clear product descriptions. Privacy and security. Any online service that requires you to enter your personal information, such as your credit card number and home address, needs to be safe and secure. This is something we always take into consideration when we review online stores. Varied payment methods. Not everyone has a credit card. Maybe you want to use PayPal, or even purchase nootropics using cryptocurrency. More options are always better. Generous shipping and return policies. You may be surprised to find out that some online nootropics suppliers offer built-in perks like free shipping or the option for returns with full refunds. Customer support is key here, too. Discount offers and fair prices. Different price points are easy to compare across vendors, but discounts can sometimes be easy to miss. Some online stores give you discounts for using certain payment methods. Some offer discounts on specific nootropics products and others offer a discount with your first purchase. We look for these specifically and mention them in our nootropics supplier reviews. Do you need to go to a nootropics supplier to find what you need? Can’t you just buy nootropics off a large online retailer Amazon? Yes, but it depends on the type of nootropics that you are looking for. There are two kinds of nootropics: supplements and drugs. This classification spells out the advantage that nootropics suppliers have over Amazon. Online nootropics suppliers usually offer both supplements and drugs, or at least the latter. Amazon nootropics options are generally limited to dietary supplements and blends. In many cases, it’s marketing strategy that leads people to believe that nootropics are “miracle drugs”. If you look at the ingredients of nootropics blends on Amazon, you’ll find organic and naturally derived components like choline, L-tyrosine, vitamin B, etc. What does this all mean? For starters, it’s almost a given that any nootropic you purchase on Amazon won’t need a prescription. Most supplements don’t require one. We do recommend that you consult with your doctor if you plan on using nootropics. Even all-natural products can have contraindications and side effects. What are the best nootropics on Amazon? In our opinion, the best ones are from brands that are transparent about what the ingredients are and what their products hope to accomplish. The nootropics with product pages that read like they’re selling a magical solution to all your problems could be good, but should be handled with caution. The best nootropics on Amazon sometimes aren’t even marketed as nootropics! For example: L-theanine is a popular natural nootropic, but it’s often sold as a single ingredient dietary supplement or is included in supplement blends meant to address stress or sleep issues. If you are looking for stronger nootropics, you won’t find them on Amazon. No matter how efficiently supplement brands market their nootropic formulations, they can’t be deceitful about what’s in them! You won’t find “real” nootropics like Modafinil, Piracetam or Phenibut here. Bottom line: If the nootropic can’t be considered a supplement or multivitamin, you probably have to purchase it from an online nootropics supplier. Not comfortable doing your shopping online? Would you prefer to buy nootropics locally? This comes with its own set of advantages and disadvantages. First of all, you need to figure out where to buy nootropics in your area. Pharmacy or drugstore chains are a good place to start, as well as nutrition or health and wellness stores. Superstores and membership-only warehouse clubs may also carry some nootropics options. The advantages are obvious. There’s no replacement for physically going to a store and handling the product. Online shopping may be convenient in theory, but for some users a digital screen and one-click buying aren’t enough. In-store shopping offers a more personalized experience. You have the opportunity to speak with store employees in the flesh versus chatting online with customer service reps. Also, the option to pay in cash is appealing to users who don't want to divulge personal information or use a credit or debit card over the internet. What are the disadvantages? It’s actually very similar to the the difficulties we outlined when we talked about buying nootropics on Amazon. “Real” nootropics like Noopept or Phenibut won’t often be seen on store shelves. Those that are available will require a medical prescription. What can you find at your local GNC? It’s worth noting here that many local chains have official websites and online stores of their own, and GNC is a great example. In general,GNC offers FDA-approved natural plant extracts, dietary supplements and multivitamins. There are numerous brands that offer these products, as well as GNC-branded options. GNC nootropics include products from the GNC Herbal Plus line, including GNC Herbal Plus Ginkgo Biloba and GNC Herbal Plus Green Tea Extract, to name a few. High quality single-component products like these are great for nootropic stacking, which we’ll discuss in a later section. This sounds like a familiar situation, and it is. You can find most offerings made available by GNC---and similar places, like the Vitamin Shoppe---on Amazon, as well. What’s the advantage of buying nootropics with a retailer like GNC over an online giant like Amazon? GNC focuses only on health and wellness products, which means less distractions and less exposure to sponsored ads. As a side note, GNC offers a fun mini-survey that can offer you tips and products based on your answers. Can I Find Nootropics at Walmart or Walgreens? In general, yes. Superstores and pharmacy chains will stock some nootropics products. Again, this depends on what kind of nootropics you’re looking for. 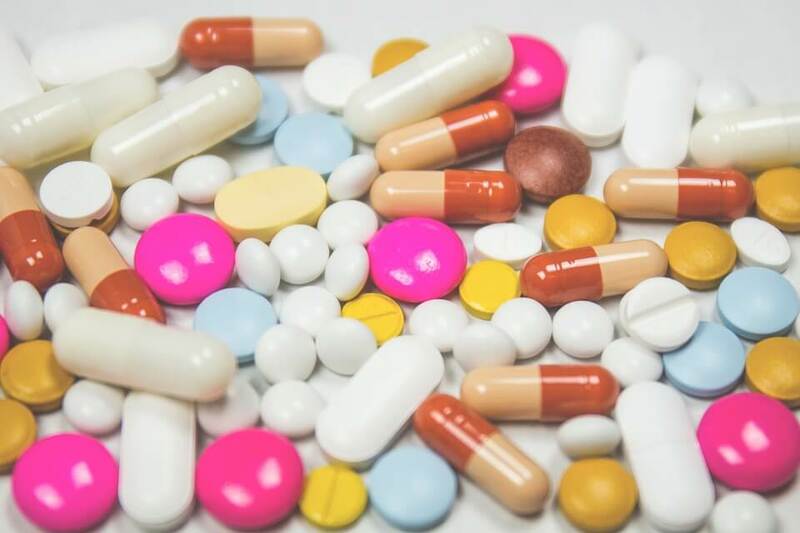 You can find an assortment of dietary supplements that fall under the broad term of nootropics, but you won’t find or easily obtain nootropics in the form of pharmaceutical drugs. Interestingly, a quick online search shows that Walmart previously carried Brainstorm Nootropics-branded Noopept and Piracetam. However, these products are no longer available and “out of stock”. Options for nootropics at Walmart these days are similar to what you’d find on Amazon. Expect a lot of multivitamins and dietary supplement blends for improved memory, improved energy, stress relief or sleep support. You can also go online to check availability at one of the over 3,000 Walmart stores by typing in your zip code. If you go to your local Costco, CVS, Rite Aid, Walmart or Walgreens with a prescription, you’ll be allowed to purchase Modafinil. It’s sold in the US as a scheduled drug, typically under the name Provigil. This prescription drug is used to promote wakefulness in patients with excessive sleepiness. Some local pharmacies may carry generic variants that can bring the price down to a little over half of the cost of Provigil. But how much you pay for Modafinil in brick and mortar stores is still high compared to price points you’ll find online with nootropics suppliers. Are you a nootropics enthusiast with a prescription for Modafinil? Do you put a premium on guaranteed legitimacy and customer satisfaction? Sourcing nootropics from the above household names could be the best choice for you. Should you want to try other “real” nootropics, though, your best bet is to find a nootropics supplier you can trust online. Nootropics are drugs or supplements taken to achieve cognitive enhancement. This desired improvement of mental performance through nootropics use may take on different forms. It could manifest as a memory boost, a spike of creativity, or lingering feelings of motivation and focus. Where did we get this nootropics definition? While it seems like a relatively new concept, its beginnings actually go back to 1972. Dr. Corneliu Giurgea, a Romanian chemist and psychologist, coined the term and was the first to define nootropics. Although it’s been over 40 years since the concept of nootropics came into being, current medical research into these drugs is still in its early stages. This is why many of these purported “smart drugs” are labeled as experimental. It’s likely also why they’re so hard to source anywhere except online. Check out the nootropics Wiki page for more information on its history, as well as the issues and concerns surrounding its use. It depends on which nootropics we’re talking about. Generally, they are effective---but it’s best to use with caution and in moderation. We’ll discuss the different kinds of nootropics in another section. Right now, let’s qualify what we stated above with some examples. Nootropics definitely work, and this answer is supported by science---if you’re referring to certain substances that have medical research backing up their purported effects. 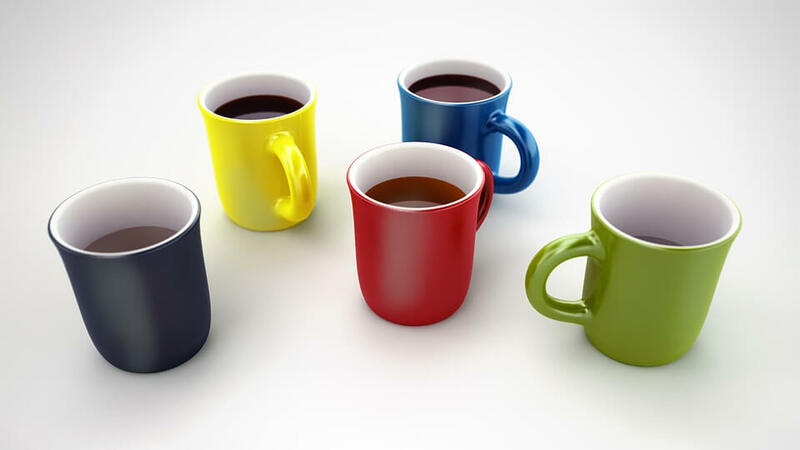 Did you know that there are nootropic elements in coffee and tea? Caffeine is considered a nootropic; so is L-theanine, which is present in green tea. Studies have confirmed that these two increase mental performance in terms of alertness and attention. What about “real” nootropics like Piracetam, Noopept, etc.---do they work like people say they do? Here’s where it gets tricky. There’s a lot of anecdotal evidence that nootropic drugs work, which you can read about later in this guide. There are even medical studies to support some claims. The real concern in nootropics usage is safety, coupled with the fact that nootropics are meant to enhance already healthy individuals. They’re not meant to treat the ill or improve negative medical conditions. For the medical and scientific community, nootropics take lower priority in terms of testing, research and funding. The reality is that there’s not enough testing and research into both the development and manufacturing of nootropics. While they are purported to work, users need to be careful about dosage, indications, contraindications and more. It depends on where you are. If you’re in the USA, it’s technically legal---but complicated. With all the fuss and bother in procuring nootropics, you would think that the nootropics industry is the Wild West of the medicine. Whoa there, cowboy! Don’t saddle that horse just yet. There is no actual legislation against intake or ownership of nootropic drugs in the US. Most nootropics are legal nootropics in America. If you’re a nootropics enthusiast, you’re not exactly an outlaw. The difficulty lies with nootropics suppliers, which is why it’s so hard to find nootropic drugs in local stores. Yes, it is legal to consume and possess nootropics. It’s even legal to order and buy them! However, nootropic drugs can’t be sold---not as dietary supplements, that is. Not being classified as dietary supplements means that drugs like Modafinil and Noopept cannot be considered over the counter nootropics like their herbal, vitamin and otherwise natural counterparts. Instead, some are considered scheduled drugs that need a prescription. Armodafinil, Modafinil, and some amphetamines fall under this classification---though amphetamines don’t count as nootropics for most people. More esoteric nootropic drugs---Piracetam is the most popular case---are considered research compounds that are not automatically assumed to be for human consumption. That last bit about “human consumption” is the complicated part. Basically, the situation is that as long as local suppliers don’t advertise nootropics as consumable, they’re in the clear. This caveat makes it near impossible to actually sell products, though. Furthermore, the lack of FDA approval on nootropic drugs means that most major physical and online retailers won’t stock them at all. This predicament is the root cause of the lack of local availability of stronger nootropic drugs across the US. It’s also the cause of the trend of online nootropics suppliers making their products available even without prescriptions. Most nootropics are safe for most people. It’s easy to get alarmed, overwhelmed and confused by what you hear and read about nootropics. Most nootropic drugs aren’t FDA approved, and you can’t even find most of them for sale in brick and mortar pharmacies and drugstores. Again, this is more about the medical community covering all their bases, rather than actual dangers presented by taking nootropics. We’re not saying that taking nootropics is without its risks, but it’s likely not as dangerous as some would have you believe. There have been literally hundreds of studies done on the most popular nootropics available today! This is not enough to assure complete safety in all cases of nootropics dosing, but enough to know that these smart drugs are neither poison nor placebo. Take a look at the drugs you have in your medicine cabinet: fever reducers, painkillers, cough suppressants, etc. If you look at the packaging of common pharmaceutical and over-the-counter drugs, you will find dosage and administration instructions, as well as contraindications and warnings. This is what’s missing from most nootropics, and why nootropics are often misunderstood and called unsafe. What Are the Safest Nootropics? Still unsure? You may want to try nootropic dietary supplements first, before considering nootropic drugs. These are some of most researched and most tested nootropics on the market. They’re often the most widely available, too. We’ll go through a few of the most common ones below. We mentioned caffeine and L-theanine in the section above. These count as nootropic dietary supplements. You can simply drink coffee or green tea, but you can also find them in supplement form. There’s also creatine. It’s usually promoted as an aid to muscle growth, but studies show that Creatine also improves mental performance. Yes! There are many nootropic substances that are naturally occurring or naturally derived. Let’s circle back to L-theanine, as this is one of the best examples of a natural nootropic. We know that this comes from green tea, which is organic and natural. This alone should support the answer above properly, but let’s look at some other natural nootropics. While “natural” does not always equal “safe”, there is something to be said for trusted herbal alternatives used in ancient Indian and Chinese cultures. The best natural nootropics, in our opinion, are the ones that have stood the test of time. There are traditional alternative healing practices that have been used for cognitive enhancement way before the concept of nootropics even existed. For example, the herb Bacopa monnieri. It has been used in Ayurvedic medicine for thousands of years to improve the functions of the brain. Ayurveda is one of the world’s oldest healing practices, developed in India over 3,000 years ago. Ginkgo biloba extract and Panax ginseng root are known as nootropics now; but have long been used in folk remedies. In supplement form, Ginkgo biloba extract and Panax ginseng root have been marketed as memory boosters and mental fatigue reducers for decades. There are many more examples of natural nootropics! We discuss most of the popular ones below. When we say “common nootropics ingredients”, we’re talking about common components found in nootropic supplement blends. Truly synthetic nootropic drugs, like Modafinil, are seldom combined with other substances and sold as a multipart formula. So what’s in these blends? We tackled a few well-known ingredients already discussed in previous sections of this guide. In general, you’ll find mixtures including amino acids, phospholipids, plant and other natural extracts, vitamins, and other kinds of compounds and nutrients. Let’s run through some typical nootropics blend components. These are compounds in our body that combine to make protein which is necessary for our cells, muscles and tissues to function properly. Acetyl-L-carnitine is a building block for proteins that helps to provide energy. Creatine supports muscle growth and affects mental performance. L-glutamine supports the immune system. L-theanine improves mood and brain functions. L-tyrosine can alleviate symptoms of stress. Phospholipids are a type of natural fat that living things need for growth and repair, particularly in the brain. The most popular ones in the nootropics industry are phosphatidylserine and phosphatidylcholine. Phosphatidylserine (PS) is suggested as an enhancer for memory or cognitive function. Early supplements were derived from cow brain cells but concerns about linkage to mad cow disease prompted soy plant substitutes. Phosphatidylcholine (PC) includes essential nutrient choline as a component. Eggs, liver and peanuts are rich in choline. Online nootropic supplement formulations include citicoline, lecithin, L-alpha glycerylphosphorylcholine (Alpha-GPC), and choline bitartrate. Which plant and other extracts will you find in nootropics? Botanicals are are valued for their medicinal and therapeutic properties and should be labeled as dietary supplements. Below are some of the most popular among nootropics enthusiasts. Bacopa monnieri is a herb has been used in traditional Indian medicine and is best known as a memory enhancer and neural tonic. 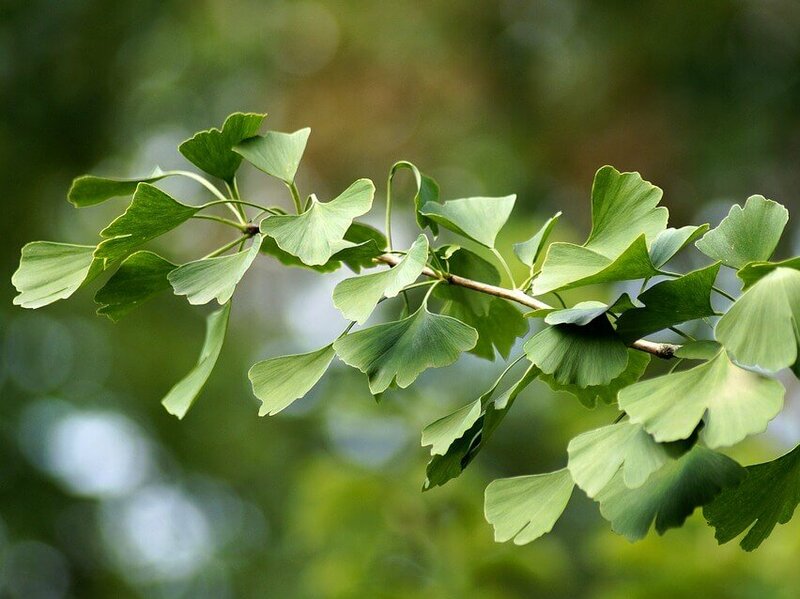 Ginkgo biloba comes from the maidenhair or gingko tree which is native to China. Some use it to boost memory and cognition. Panax ginseng root is commonly found in China and Korea. Purported benefits are enhanced mental performance, improved, brain function, and increased energy, to name a few. Rhodiola rosea is a plant grown in the arctic regions of Europe. It has been used to treat physical and mental fatigue. St. John’s Wort is a flowering plant that has been used to treat depression and as a topical aid in healing wounds. Some studies have demonstrated that St. John’s wort can be dangerous and even life-threatening if it interacts with other medications. Lion’s Mane mushroom has long been used in Chinese medicine to treat cognitive and physical disabilities. Huperzine A is a substance extracted from the Chinese club moss plant. 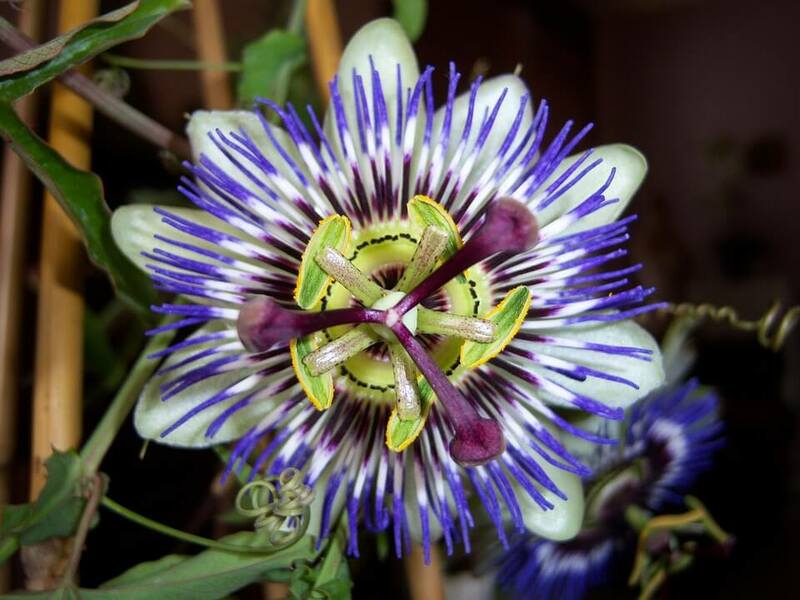 It is used to reduce inflammation and sharpen memory in Chinese medicine. Green tea extract is derived from green tea leaves. The amino acid, L-theanine is one of the main active ingredients. Vinpocetine is a synthetic supplement derived from the vinca or periwinkle plant. It is purported to aid in memory functions, but be careful! Vinpotencine is not FDA approved. Due to its synthetic nature, it shares a similar fate as Piracetam in the US. Which vitamins will you find in nootropics? Vitamins C and E are common in nootropic supplements, as well as B vitamins---particularly B12. Which minerals will you find in nootropics? One of the most common is magnesium, sometimes in the form of magnesium L-threonate. It is a chemical element that is found naturally in the body and in food items. A magnesium deficiency can bring about anxiety, brain fog, chronic pain, depression and/or poor sleep habits. Many factors can contribute to low magnesium levels in the body: regular intake of caffeinated and/or carbonated drinks, prescription drugs, a diet high in processed food, ets. Magnesium supplements are sometimes included in nootropic stacks to combat this deficiency. There are probably as many reported side effects as there are kinds of nootropics. This is too vast a topic for a complete listing within this guide! With the amount of herbs alone that count as nootropics, we could be here all day discussing purported side effects---ranging from fatigue to infertility. Note that many side effects are the result of improper dosage and use. It’s critical to read dosage and ingredient information on the label. In general, read up extensively on anything you intend to ingest! When in doubt, consult your physician for indications or contraindications, especially if you taking other medication. Side effects from nootropics can range from mild---headaches or fatigue---to severe. Insomnia, infertility, seizures and strokes are some of the more critical ones that you can read about online. For the most part, they’re not common enough to worry about; especially if you are otherwise healthy. Still worried? Let’s focus on three side effects of synthetic nootropics and nootropics stacks---that is, using several nootropics together. Again, these usually present themselves with improper dosage. These three are brain fog, neuroplasticity issues, and excitotoxicity. What is brain fog? This isn’t a permanent medical condition, but a sign that something is not right. Like a headache or a slight fever, when it’s there, it’s probably because of an underlying cause. How can you tell if you have brain fog? It presents as a group of symptoms that affect your ability to think clearly: feelings of confusion, disorientation, and not being able to focus and articulate your thoughts. It’s a cognitive breakdown. With brain fog, it may take you well over an hour just to read and understand this section on nootropic side effects. It can be so severe that it disrupts your daily routine. With some nootropics, brain fog or a feeling of “fuzziness” may arise, but it can dissipate through lowering the dose or stopping altogether. What is neuroplasticity? This is the brain’s capability to change and adapt throughout a lifespan. As we age, our bodies experience changes in brain activity, with varying emotional triggers and responses. It’s important to note here that neuroplasticity by itself is not negative. What does this all have to do with nootropics use? Why do we list it as a side effect? As nootropics are taken for cognitive enhancement, it follows that they influence how the brain works. But do they also influence how the brain develops? Someone in their late teens to early twenties will still have a developing brain, and will have a high level of neuroplasticity. It’s been observed that nootropics can sometimes affect developing brains negatively. Some of these harmful manifestations include: addictive behavior, anxiety, and impaired learning and memory. What is excitotoxicity? Just as it sounds, this occurs when nerve cells are overstimulated or “excited” by nerve impulses, causing them to be damaged or eliminated. This neuronal “death” results from increased and exaggerated release of the neurotransmitter glutamate. Glutamate is essential for bodily functions, particularly when it comes to learning in memory. That’s why L-Glutamine and GABA are common nootropics ingredients. However, many food products are excellent sources of glutamate. Some medical conditions may also cause excessive amounts of glutamate to clump around neurons, like hypoglycemia or epilepsy. When the glutamate level is increased to excessive and continuous levels, certain medical conditions may be appear, like seizures and strokes. That’s the bad news. Now for the good news: There are symptoms you can watch out for to identify if you have an excess of glutamate in your system. You may get very anxious and restless, and experience a surge in sensitivity to pain. You may also observe similar symptoms to brain fog, like focus and attention issues. What do you do when you encounter these side effects? Simple: lower your nootropics dosage or stop dosing completely until the symptoms subside, and see your physician. Nootropics are used for increased mental performance. Let’s take a quick look at some specific ways nootropics can be used to give you a cognitive edge. Note that some nootropic products may appear in more than one subsection. Looking for a gentle boost when it comes to attention and knowledge retention? Luckily, the best nootropics for memory and for focus are often one and the same. If you’re just starting out and don’t want to stray too far from what you know, you may want to stick with natural botanical supplements. Again, we go back to the basic combination: L-theanine and caffeine. Both are easy to source and consume, even if you don’t buy them in supplement form. It’s common to have a cup of coffee to jump start a day, or relax with a spot of tea for an afternoon pick-me-up. Relying on coffee and green tea may cause in irregular dosage issues, though. That can spell trouble if you’re depending on routine benefits. If you’re going to get into nootropics, it’s best to be consistent with dosing. Another popular nootropic is Bacopa monnieri, also called Brahmi or water hyssop. We mentioned it earlier as an example of a natural alternative from the Ayurvedic tradition in India. Bacopa monnieri may help memory retention and information processing. In fact, there are indications for its use in treating Alzheimer's disease and ADHD. It is also used to combat anxiety and stress. As non-essential amino acids go, creatine is a superstar! Not only is it popular as a supplement for people with an active lifestyle, but it’s also gaining ground as a nootropic. You may be familiar with creatine’s anti-fatigue, anti-oxidant, high athletic performance, and physical recovery indications. It’s why this amino acid is commonly found in sports supplements. However, creatine is also great if you’re looking for cognitive enhancement! It is said to improve attention, memory and mood; and even encourages quick thinking. The key is in the fact that it’s a great for anti-fatigue. Creatine helps both your muscles and brain to produce more energy and mental productivity. As a nootropic, creatine works by recharging adenosine triphosphate (ATP). What is ATP? Think of ATP as life fuel. Nearly all physiological processes that need energy are powered by the organic chemical called ATP. It’s found in every single sell of your body. Using nootropics for studying is one of the most common ways people get introduced to it in the first place. Many think of nootropics as “smart pills” or “smart drugs”---and getting smarter should involve at least a bit of studying. What’s the difference between the best nootropics for studying and the best nootropics for memory and focus? Not much. We include more esoteric choices here, but we won’t go into nootropic drugs until the next section. If you are a newbie to the world of nootropics and want to start somewhere in your comfort zone, your best bet is to consume L-theanine supplements with your regular cup of coffee. Yes, it’s that popular caffeine and L-theanine combination again. This simple nootropics stack uses everyday ingredients and produces effective results. No wonder it’s so popular! You get the benefits of both caffeine and L-theanine without side effects like coffee jitters,anxiety, insomnia and fatigue. Want to jump to something more unfamiliar? Bacopa monnieri helps you process visual information and learn faster. It helps consolidate and retain memories better, too. It’s also a potent anti-stress agent, which can be useful to get through overnight study sessions and back-to-back exams. Remember the essential nutrient choline? It’s associated with enhancing cognition, learning and memory. You can get this from popular nootropics like citicoline and Alpha-GPC. What is citicoline? This is a compound that is actually made of both choline and cytidine. The latter is converted into uridine---a naturally occurring component of RNA (ribonucleic acid) and also an often underestimated nootropic---upon ingestion. Why combine choline and cytidine? They work in tandem to boost focus, memory, mood and motivation. What is Alpha-GPC? Also known as L-Alpha glycerylphosphorylcholine, Alpha-GPC is a choline compound that is naturally found in the body. It works by quickly delivering choline to the brain. Both citicoline and Alpha-GPC are non-prescription in the US, and are generally recognized as safe (GRAS) by the FDA. Another natural nootropic worth looking into to supercharge your study habits is L-tyrosine. You may also find it in the form of N-Acetyl L-Tyrosine (NALT). Why is L-tyrosine good for studying? Actually, it’s good for what comes after studying. Some measure of cognitive decline is normal after you stress out your brain with all-night study groups or grueling cramming sessions before a big test. What happens when your brain gets tired or you are mentally exhausted? Your body gets depleted of its naturally produced tyrosine, the symptoms of which are grim. You will feel a severe lack of motivation and may be left in a foul and grumpy mood. Using an L-tyrosine supplement can turn that all around and may make your all-nighters more productive. You will not only perform better, but feel better, too. 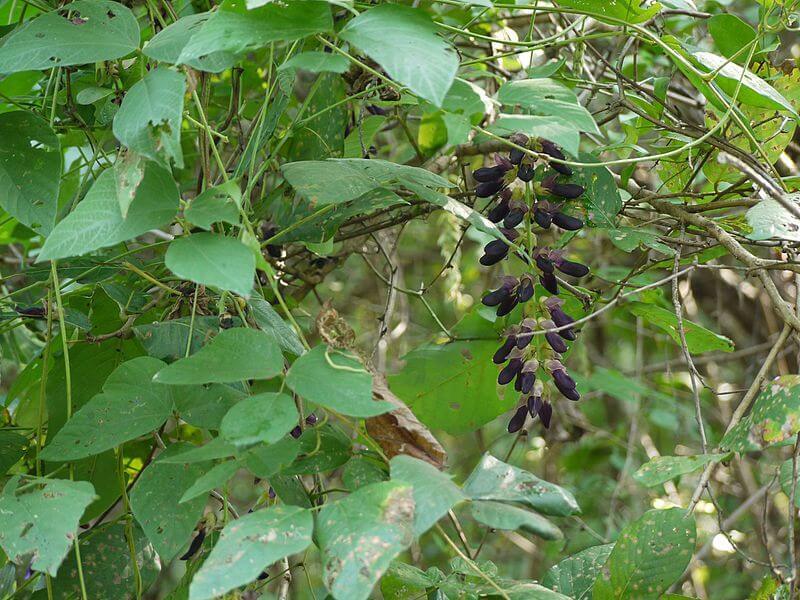 You can also take the natural supplement Mucuna pruriens or Velvet bean extract with L-tyrosine. This Ayurvedic remedy contains L-DOPA, which is synthesized from tyrosine. It leads to dopamine, epinephrine and norepinephrine production in the brain---making for a natural antidepressant. Suffering from Attention Deficit Hyperactivity Disorder (ADHD) and looking to wean yourself off of your regular dose of amphetamines? Nootropics may be a good place to start. It can help you get that cognitive control without the ill effects of long term amphetamine use. What are amphetamines? Adderall, Dexedrine, Vyvanse, etc.---these are all prescription drugs that are central nervous system (CNS) stimulants. Amphetamines are typically used to treat or manage ADHD, as well as many cases of narcolepsy and obesity. But in large or unchecked doses, it may lead to addiction, psychosis, and do the opposite of what it should. It may hurt cognitive functions instead of helping them. Someone looking for an occasional or mild mental performance boost may find what they’re looking for in natural nootropics. To replace prescription drugs like amphetamines, though, may mean venturing into the world of smart drugs. What are the best nootropic drugs for ADHD? Eugeroics and racetams are often suggested, especially for beginners coming from natural nootropic supplements. Some say ampakines work well, too. Let’s find out more about them below. What are Eugeroics? These are drugs that promote alertness and wakefulness, and are predominantly used to treat sleep disorders like narcolepsy. Eugeroic drugs that are also considered nootropics include Adrafinil, Armodafinil and Modafinil. Modafinil is the most popular one, commonly known in the US by the brand name Provigil. Armed forces all over the world have been said to use Modafinil to combat sleep deprivation among their troops. The French Foreign Legion, the Indian Air Force and even the US Air Force count modafinil in their contingency plans to manage fatigue. Modafinil has also used by astronauts on the International Space Station. What are racetams? They are a drug class that works by activating CNS glutamate receptors, which are often found with cholinergic receptors. The most popular drug in this class is Piracetam, known as the original nootropic. It was first synthesized by Dr. Giurgea in the 1950s. Other racetams available in the market and considered as nootropics are Aniracetam, Oxiracetam and Phenylpiracetam. What are Ampakines? These are compounds that modulate neurotransmitters in the brain, such as glutamate. They can enhance alertness and attentiveness, and may also encourage better memory retention and faster learning. Some racetams like Aniracetam and Oxiracetam are also classified as weak or mild ampakines because of similar cognitive enhancement properties. The most popular Ampakines are Noopept, Sunifiram and Unifiram. Ampakines are currently being studied and considered as potential treatment options for Alzheimer's disease, Parkinson's disease, and even ADHD. Mental and emotional health play a huge part in overall mental performance. Most nootropic drugs are indicated for boosting attention, focus and memory. However, some studies show additional effects may also help with motivation. Many nootropic suggestions for mental health boosting are actually natural supplements, but nootropic drugs play their part, too. We’ve compiled a short list of the most popular nootropics for anxiety and depression below. Note that we’re not including in the list some of the most recommended ones---Bacopa monnieri, Ginkgo biloba, L-theanine, L-tyrosine, magnesium, Mucuna pruriens and Panax ginseng root---as we’ve already discussed them at length earlier in this guide. What is Ashwagandha? Also known as Withania somnifera, this plant is similar to Bacopa monnieri and Mucuna pruriens in that it has long been used in ancient Ayurvedic practices. When you ingest Ashwagandha extract, it works to inhibit the enzyme acetylcholinesterase. This regulates the breakdown of acetylcholine---which in turn boosts cognitive functions like concentration, learning and memory. It is one of the best natural nootropics for anxiety and depression due to the fact that it’s both an adaptogen and an antioxidant. Ashwagandha helps the brain recover from damage caused by stress, soothes anxieties and contributes to lowering blood sugar levels. It is also sometimes suggested to help manage insomnia. What is Lion’s Mane mushroom? Also known as Hericium erinaceus, this mushroom is similar to Ginkgo biloba and Panax ginseng root in that traditional Chinese medicine has used it for centuries. Lion’s Mane increases focus, improves attention span, and even boosts neurogenesis---the process of new neurons being formed in the brain. Since Lion’s Mane is beneficial to brain cell repair, it is also good for managing anxiety, depression and neurological conditions like Alzheimer’s or Parkinson’s. 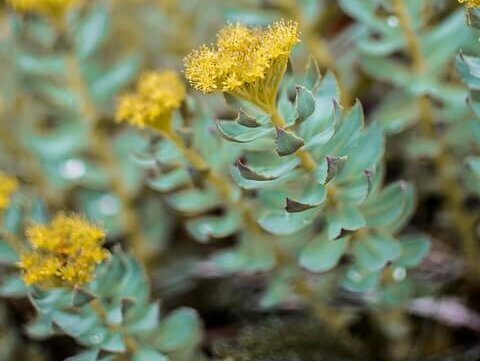 What is Rhodiola rosea? This flowering plant is also known as Golden root and is a fixture in Chinese, Russian, and Scandinavian traditional medicine. It was generally used in the past to boost physical endurance and to fight off mental stress. Today, it enjoys a reputation as a great natural nootropic. Rhodiola rosea works somewhat like ampakines because it also has a positive effect on the brain’s AMPA receptors. This eases depression and dramatically decreases stress-related difficulties like fatigue and mood swings. It is also similar to L-tyrosine. Both are stress regulators, but the latter helps you deal with the effects of excessive stress and long stretches of active thinking. Rhodiola rosea, on the other hand, regulates the activity of cortisol, the stress hormone. Because of its stimulant-like properties, it may be not be a good idea to take Rhodiola rosea for anxiety if you are already taking other stimulants. Let’s move to nootropic drugs in this subsection and leave natural nootropics behind for a bit. This is a racetam and also a weak ampakine, and works with dopamine and AMPA receptors in the brain. While it improves cognition and memory like typical racetams, it’s also great for emotional and mental health. Aniracetam is effective as an antidepressant because it is a mood and motivation enhancer. It’s also great for anxiety---even the social kind---because it helps you relax. It also increases your energy levels without excessive stimulation, and it may encourage better verbal communication. This is another ampakine that is normally indicated for enhancing memory, comprehension and cognition. It’s not usually recommended for anxiety and depression, as the mental health boosts are not as notable as the benefits that come with its intended use. That said, it’s gained great traction in online forums and nootropics communities as an antidepressant and anti-anxiety smart drug. It is notable as being one of the most recommended nootropics for social anxiety. This drug is known by many brand names, such as Anfiven or Fenibut. Developed in the Soviet Union and initially introduced as medicine in the 1960s, Phenibut is used to treat anxiety, insomnia and other conditions in Europe. However, it is not approved for medical use in the United States. Phenibut is known as an antidepressant nootropic. It has a sedative effect, but it does not leave you feeling “heavy”. Rather, it leaves you motivated, relaxed and stress-free. On top of improving mental performance it’s also said to make you feel positive. Note that excessive recreational use of Phenibut may result in addiction and dependence. By now, you probably have noticed that most recommended nootropics sound like miracle herbs or drugs that can be used to get multiple cognitive enhancing effects. This is the product of common sense! Top shelf nootropics, after all, should be those with a well-rounded list of benefits. Here’s a quick rundown of previously discussed supplements and drugs that are known to be the best nootropics for energy and motivation: L-Theanine, N-Acetyl-L-Tyrosine, and Rhodiola Rosea. The absolute best nootropics for motivation reduce or repair damage caused by stress, improve or increase brain energy, and work to enhance or regulate dopaminergic pathways. Below are two more nootropics that do just that. To optimize the effects of N-Acetyl-L-Tyrosine, you may also want to take B vitamins---they are catecholamine co-factors. In plain English: If you’re already improving your L-Tyrosine intake, it can’t hurt to take B vitamins, too. Vitamin B6 regulates motivational neurotransmitters that work to convert amino acids like L-DOPA, 5-HTP and tryptophan into dopamine and serotonin. That’s two out of the four main chemicals in the brain that are associated with happiness and social behavior---the other two are endorphins and oxytocin. Vitamin B9 (as folate) and vitamin B12 are also responsible for aiding in neurotransmitter regulation and metabolism. They may also slow down the rate of neurodegeneration. This is one of the most well-researched phospholipid in terms of what it can do for mental performance enhancement. If B vitamins help to facilitate motivation, PS helps produce energy to power brain activity. Energy production through glucose metabolism isn’t what phosphatidylserine is most known for in the nootropic world, although it does this really well. It’s particularly recommended as an aid to keep your memory sharp and intact, especially as you age. When you search for “nootropics for sleep”, do you mean nootropics to help you sleep or nootropics to keep you from sleeping? For the latter, it may benefit you to look at the sections of this article focusing on the best nootropics for studying or the best nootropics for energy and motivation. Having trouble sleeping? We should mention that nootropics that will help you sleep may not be marketed as nootropics or supplement blends. This very specific kind of nootropic is usually tagged as a natural sleep aid. The cognitive enhancement effects are secondary, if they’re there at all. Which natural supplements are the best for sleep onset and uninterrupted rest? Here’s a small list of options: magnesium, melatonin, Passionflower, and Valerian root. How do you define creativity? Is it quick working memory and sharp focus with an artistic purpose? Is it balance and calm, devoid of anxiety and fear? Is it visualizing a path around obstacles that would otherwise block the way to achieving your goals? Whatever your definition of creativity is, you’ll find many nootropic drugs have it as an end goal. Why not? What else would dramatically enhancing cognitive functions do for someone whose goal is to create? Three of the most recommended nootropics for creativity are also the most recommended nootropics for anxiety and depression: Aniracetam, Noopept and Phenibut. They are mental performance enhancers, mood boosters and creativity stimulators. Here are more options you can explore, should you need a smart pill to jump-start a creative process. We’ll start with a natural nootropic: Huperzia serrata or Chinese club moss is another natural nootropic with centuries’ worth of history as traditional alternative healing. Huperzine A is found in the plant’s extract form. Like racetams, Huperzine A is cholinergic, which means it works to increase the amount of acetylcholine in your brain. Start here if you’re looking for a supplement before working your way up to nootropic drugs for creativity. Piracetam is the original nootropic and one of the oldest and most well-known racetams. These drugs work by regulating glutamate receptors and also affecting cholinergic receptors. If you’re suffering from headaches after taking any racetams, you may stack a choline source onto your routine nootropic dose. This should help clear your head and prevent headaches from killing the creative vibe. If Aniracetam is indicated for a more mood-enhancing experience, Piracetam is the racetam that you can count on for quick thinking, as well as improved memory and focus. It’s been said that it facilitates better communication between your left brain and your right brain. What about Phenylpiracetam? It is a phenylated version of Piracetam developed in the early 1980s as an anti-stress measure for Soviet cosmonauts. This is actually a racetam that is banned by the International Olympic Committee! Competing Olympic athletes are not allowed to take this nootropic drug, although they are technically legal in the US and many territories. The move to ban Phenylpiracetam from the Olympic games has some merit. It is a powerful stimulant with antidepressant and memory enhancing effects. It also increases both mental and physical endurance when it comes to experiencing extreme temperatures and high levels of stress. While Aniracetam is said to be a mood enhancer and Piracetam a memory enhancer, many think of Phenylpiracetam as the ideal racetam for creativity. Remember the B vitamins we listed under the best nootropics for energy and motivation? There’s one more B vitamin that can be considered a nootropic: Vitamin B1 or thiamine. Sulbutiamine is a synthetic derivative of this vitamin developed in Japan. Why go with Sulbutiamine? For one, this synthetic version crosses the blood-brain barrier with greater efficiency. It works better and faster than thiamine to combat mental and physical fatigue. It’s particularly indicated for increased positive mood, memory retention, and energy levels; as well as reduced anxiety and stress levels. There’s an additional plus: Sulbutiamine may also weaken your mental and behavioral inhibitions. What does that mean? Sometimes creativity is about pushing through a wall of fears and insecurities. This nootropic keeps you motivated to move forward and finish a task, even when you would otherwise feel like you’ve hit a wall in your progress. We’ve run through the most popular ampakines and racetams. Now let’s take a good look at this very popular eugeroic: Modafinil. You may know it as Provigil in the US. This drug was developed in the early 1990s as a treatment option for narcolepsy. Used as a nootropic, it is meant to provide intense stimulation and concentration. Modafinil also supercharges your working memory---that is, the brain power you use to process information in the moment. Why is it great for creativity? Modafinil users cite the fact that their mind feels clear but not empty. The nootropic sets the tone and creates a virtual blank canvas that your mind can fill in and add on to with laser-like focus. There’s little to differentiate Armodafinil from Modafinil, but we’ll take a shot at it anyway. Armodafinil was developed and subsequently released in the late 2000s by the same company that came out with Modafinil. It’s known by the brand name Nuvigil, and like Provigil, it’s also an FDA-approved prescription drug. Armodafinil’s chemical structure is slightly different from Modafinil’s---the former is an enantiomer or mirror image of the latter---resulting in greater drug potency. It’s important to note that higher potency is not necessarily better. Each person’s “sweet spot” is different. You may find, should you try both, that you prefer Modafinil to Armodafinil. You may even find that Eugeroics aren’t your cup of tea. How did you find out about nootropics? The industry is still in its infancy and official research and medical studies are still catching up to the widespread interest in smart drugs. Quite a number of nootropics enthusiasts get into the habit of taking regular nootropic doses after hearing about it from a public figure that’s known to be physically and/or mentally fit. Enter our two nootropics advocate examples: Joe Rogan and Tim Ferriss. Can you believe that modern renaissance man Joe Rogan is 51 years old as of this writing? If you don’t know what he currently looks like, Google his name right now. Doesn’t he appear to be a physically fit 30-something? Maybe 40 years old, at most. You may remember him best as the host of Fear Factor. Rogan is also an accomplished stand-up comedian, as well as a popular podcaster and mixed martial arts commentator. His whole deal seems to be a mishmash of comedy, confrontation, extreme physical activity and pushing the limits of the mind. Rogan’s also been very vocal about taking nootropics to optimize his health. Here’s the question: What’s the composition of his daily nootropic dose? A quick online search brings up a list of varied supplements---but there’s only one natural nootropic blend: Onnit’s Alpha BRAIN. It’s actually not as extreme or as experimental as you might think. Here is a partial list of Alpha BRAIN ingredients: Alpha GPC, Bacopa monnieri, Huperzine A, L-theanine, L-tyrosine, phosphatidylserine, vinpocetine and vitamin B6. We’ve talked about all of these above. Three other ingredients remain: Oat straw, which seems to be for filler and not an actual nootropic ingredient; Pterostilbene, which is a powerful antioxidant and heart health supporter likely derived from blueberry extract; and AC-11, which is a proprietary supplement made by the same company behind Alpha BRAIN. 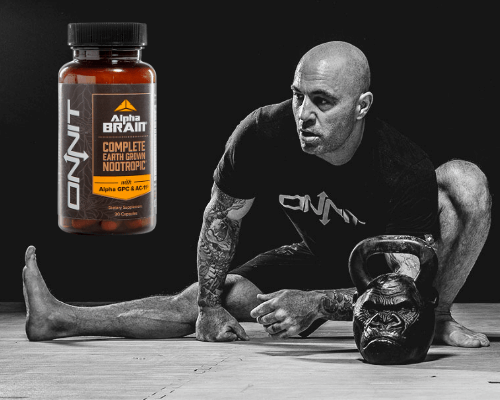 AC-11 is touted as Onnit’s DNA Repair Extract.It basically consists of the extract of a woody vine, called Cat’s Claw or Uncaria tomentosa, found in the Amazon rainforest. Cat’s Claw extract is usually indicated for arthritis inflammation and pain relief. However, there are studies that support the assertion that it does aid in DNA repair. If you’re familiar with Tim Ferriss, it’s probably because you’ve read one of his books. The most famous one is New York Times bestseller The 4-Hour Workweek. Ferriss is also a podcaster and blogger with a huge community of followers. He’s generally referred to as the current generation’s most notable self-help guru. As someone that wrote about how to make the most out of a four-hour work week, it should come as no surprise that Ferriss is a nootropics advocate. He mentions it on occasion in blog posts and podcast episodes, and there’s even a video where he talks about his favorite nootropics. So how does Tim Ferriss do nootropics? Again, it’s not as experimental as you’d think. Here’s a list of some of his favorite natural nootropics that we’ve already covered in this article: caffeine, creatine, Lion’s Mane mushroom, and Rhodiola rosea. He also mentions peppermint and stevia, which are probably added for taste. There were three unique nootropics on Ferriss’ list: Chaga mushroom, Coenzyme Q10 (as Ubiquinol) and yerba mate. This mushroom is a native of Russia, and it’s been lauded as an antioxidant and folk remedy for different illnesses all throughout Europe. Chaga mushroom extract is said to decrease inflammation and fatigue, and increase mental clarity and sharpness. It’s indicated for stress relief and is also known to be a mood enhancer. Clinical trials are sorely needed as a next step here. Lab tests show that Chaga mushroom can eliminate cancer cells and reinvigorate the immune system in animals. Although there’s a lot of anecdotal evidence on the internet, nothing beats an official study. You may know this coenzyme as the heart health supplement, CoQ10. It has been around as a dietary supplement for a long time, but in the form of Ubiquinone, not Ubiquinol. The former is harder for the body to absorb, and the latter is much more efficient. But is it a nootropic? We come up against this question again---we wondered the same thing when we talked about nootropics for sleep. Let’s look at what Ubiquinol does: It encourages better cardiovascular health and optimizes cellular energy production and rejuvenation. It’s also an excellent antioxidant. While Ubiquinone may not be effective enough to count as a nootropic, Ubiquinol might, especially if it’s part of a stack. 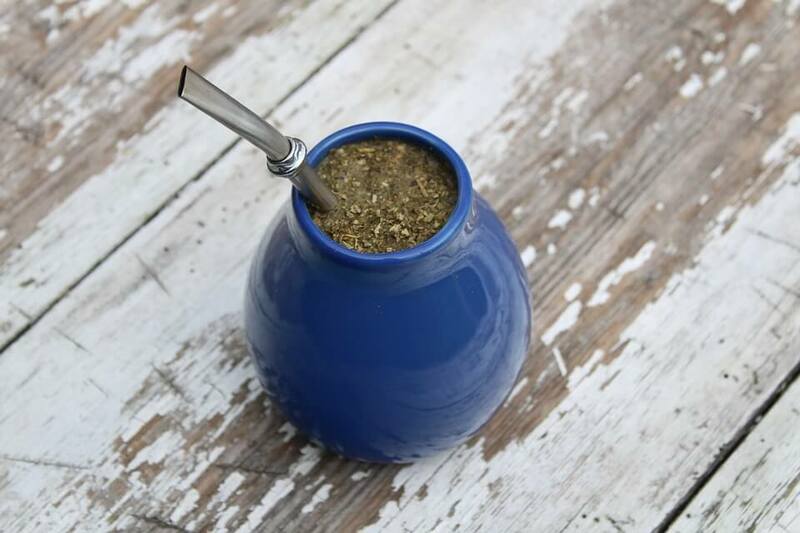 What is yerba mate? It’s often called tea, but the leaves used are from a very specific South American Holly tree, also known as Ilex paraguariensis. Yerba mate is said to be as strong as coffee, as healthy as tea, and as euphoric as chocolate. It contains caffeine, as well as two other stimulants that are also found in regular coffee, tea and chocolate: theophylline and theobromine. In addition, yerba mate is also said to contain almost 40 different vitamins, minerals, and amino acids. It’s full of antioxidants, too. Yerba mate is purportedly a memory, mood and physical health enhancer, but like Chaga mushroom, it lacks definitive clinical trials to support the safe daily use of it beyond all doubt. However, yerba mate’s long history of local use is a good indicator of its safety claims. What if you didn’t learn about nootropics from Joe Rogan, Tim Ferriss, or another public figure? There’s also an enormous online community of nootropics enthusiasts that tend to form groups around source and reference sites and forums. Getting into nootropics this way is a lot less daunting, because it feels like everyone’s speaking on the same level. Below, we’ve linked to three of our favorite nootropic-related threads on Reddit! Just to give you an idea of just how much information is readily available out there. We start at the very beginning: /r/nootropics. If you’re on Reddit and you’re interested in nootropics, you should be on this Subreddit. Think of this Beginner’s Guide as a nootropics FAQ, crash course, and glossary all in one. It covers everything from initial definitions of the most popular nootropics and what to expect when you start dosing, to how to measure cognitive improvement. There’s even a discussion on pre-nootropic dosing quality of life changes you can make, like sleeping and eating better or exercising more. SJS stands for Stevens-Johnson Syndrome, also sometimes called Toxic Epidermal Necrolysis (TEN). This is a rare condition to begin with, and an even more rare extreme negative reaction to taking Modafinil. Modafinil is one of the most popular and most widely accessible of all nootropic drugs, especially because it is sold in pharmacies. Granted, you will need a prescription, but that’s still one more point of access than just online. That’s what you’re limited to for most nootropic drugs. The risk of developing a serious skin rash and it possibly leading to a case of SJS can be a terrifying thought for nootropics beginners! It may very well scare them off nootropic drugs, which is a shame since Modafinil is one of the most tested and documented of the lot---as you can see in this compilation. Let’s turn on the corner up ahead and check out /r/stackadvice. This is an offshoot of /r/nootropics born out of the practice of “stacking” nootropics. We’ll go into more detail about this below. The Warnings page of /r/stackadvice feels like an addendum to the Beginner’s Guide created by /r/nootropics. There’s a list containing dozens of nootropic drugs and supplements here. 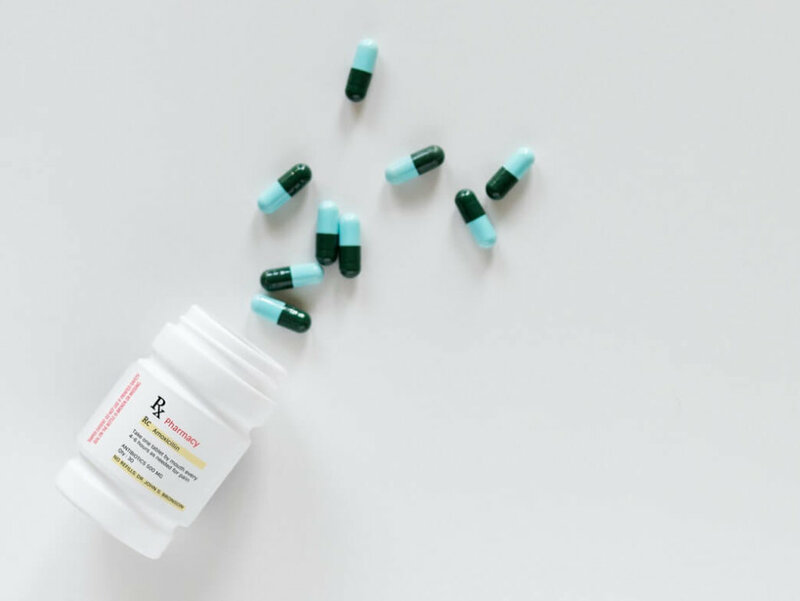 Each nootropic’s health warnings and contraindications are enumerated, and great care is taken to include advice on which nootropics you can or should not combine. First of all: What is a nootropics stack? It’s exactly what it sounds like. It’s combining two or more nootropic supplements taken together or in a sequence to create certain cognitive enhancements. Imagine really getting into nootropics. You search for and read all the comparisons, reviews, studies and trials. You participate in online discussions about which nootropic is better for which kind of hoped-for effect. You’ve maybe even experimented and combined two supplements in one dose---most likely L-theanine and caffeine. That’s the start of a nootropics stack. You take one nootropic dose, and then stack another one on top of it. Then another, if you want to risk it. Still another, if you want to risk more. Every addition invites a new set of possible contraindications and unforeseen side effects, which is why getting involved in communities is important! A nootropic stack may start out as a personal project for a particular purpose, but can be fine tuned over time and even shared like a recipe. Search online---even just on Reddit---and you’ll find lists and explanations about the best nootropic stacks for social anxiety, work motivation, and more. Of course, building a nootropics stack take time, money and patience. Good thing you can just purchase most, if not all, that you need online! Check out Comparakeet’s online nootropics supplier reviews to get started on your stack today.